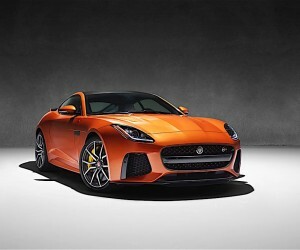 Jaguar F-Type SVR Fastest Series Jaguar Ever! 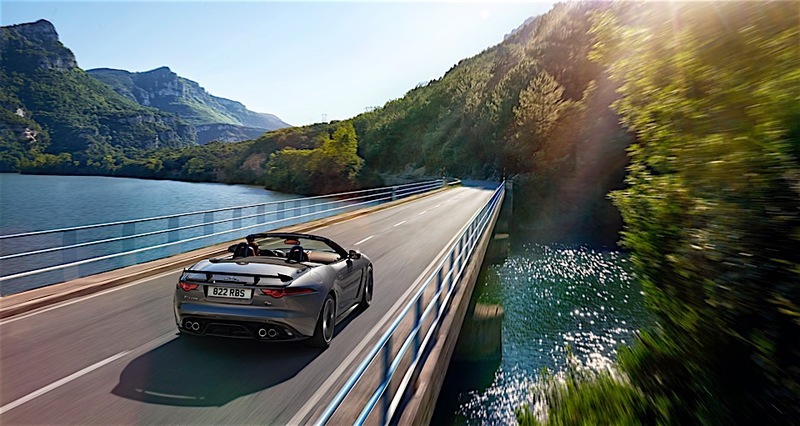 Jaguar Land Rover’s Special Vehicle Operations division has just revealed their first Jaguar-based SVR, and it’s quite a doozy. 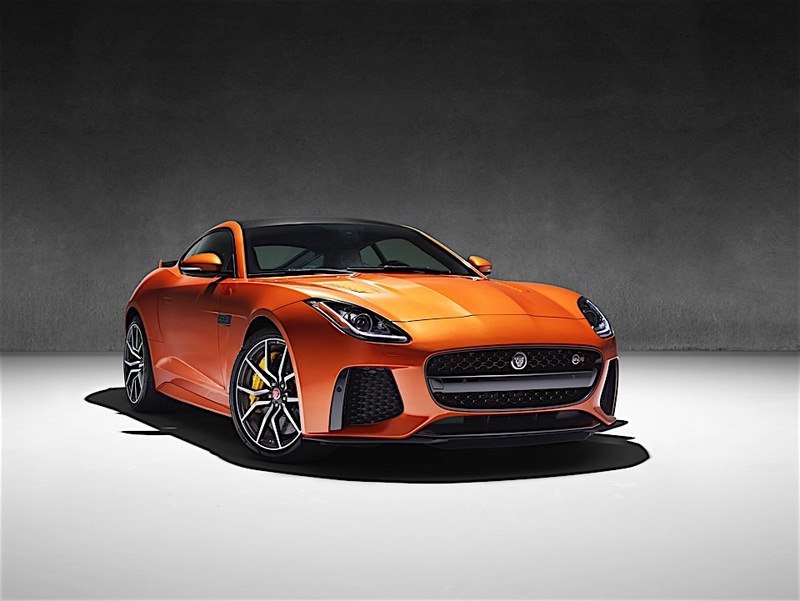 Based on the fantastic F-Type, SVO cranked everything up to 11 to bring you the Jaguar F-Type SVR. 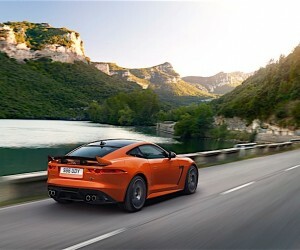 Available in both coupe and convertible forms, the SVR makes a healthy 575 horsepower from its supercharged V8. 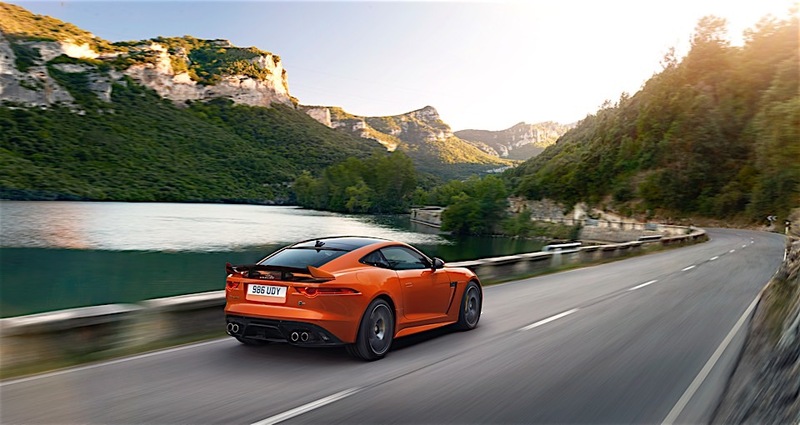 While only 25 more than the F-Type R, the SVR receives a bunch of new bits to make everything better. 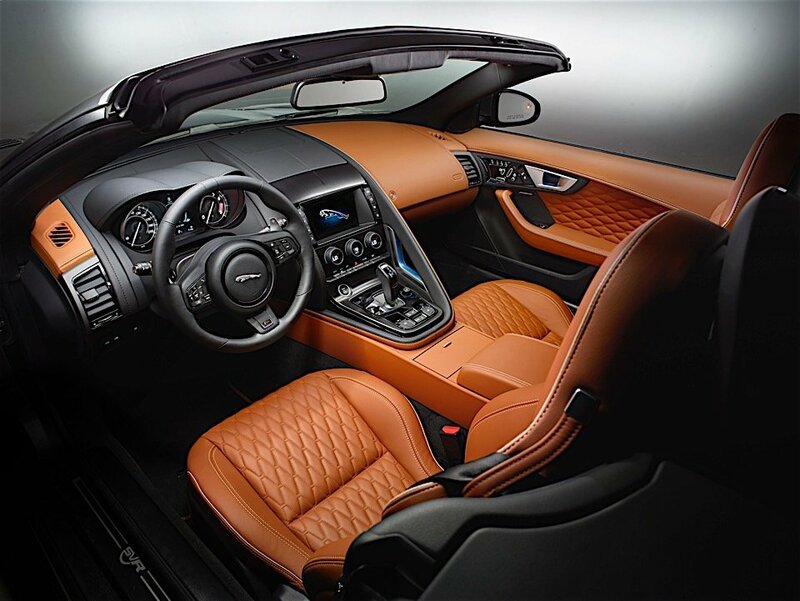 The ZF-sourced 8-speed automatic transmission, the only gearbox option, shifts faster than it ever has before. The all-wheel drive unit has been calibrated for better performance. The car is also made lighter through use of carbon fiber. 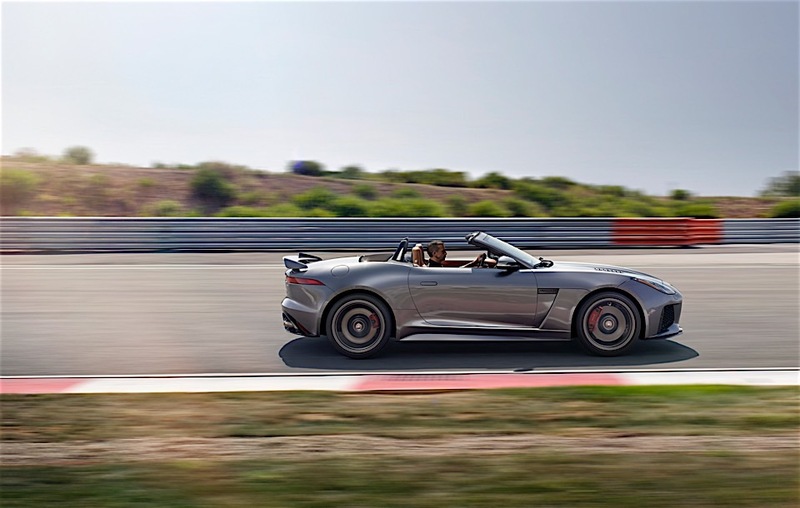 If you spec all the lightweight goodies, including the carbon ceramic brakes, you save 110 lbs over a comparable F-Type R.
In addition to saving weight, the new titanium exhaust will surely make the sinister-sounding F-Type even more sinister. I can’t wait to hear it in person! 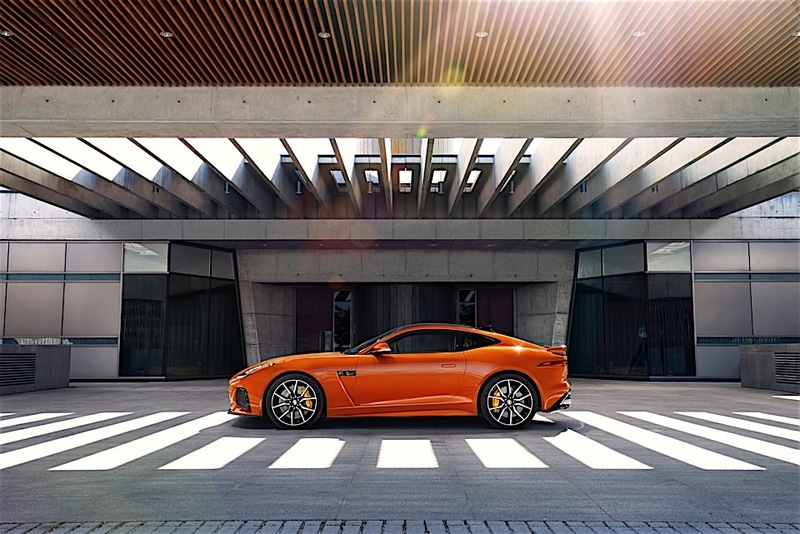 Aerodynamic bits, including a new deployable rear wing and new venturi units underneath help keep the F-Type planted to the tarmac as speeds increase. 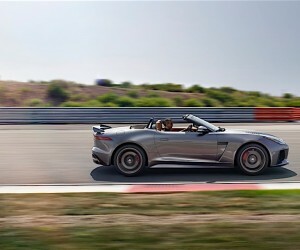 The coupe is capable of reaching 200 miles-per-hour, while the convertible can “only” hit 195. 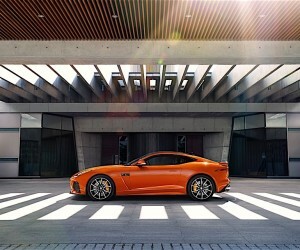 That makes the coupe the fastest series production Jaguar ever. Of course, the overall fastest Jaguar ever title goes to the XJ220, which exceeded 210 miles-per-hour back in the day, and was the fastest car in the world until the McLaren F1 showed up. 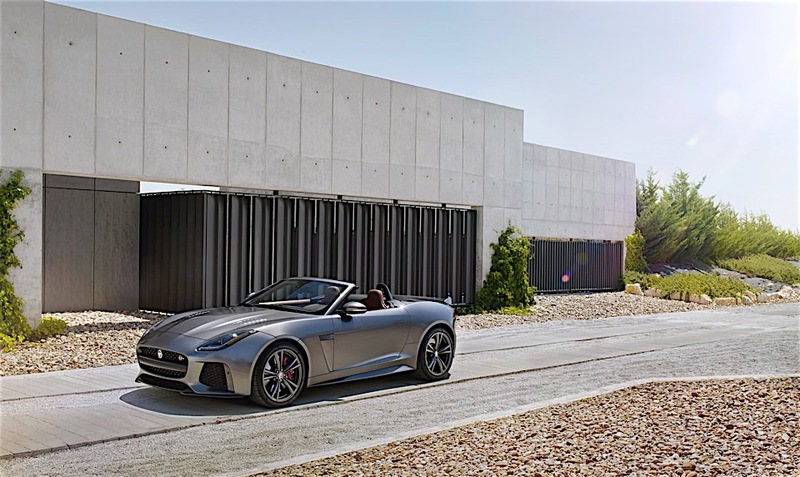 I believe the F-Type SVR is more than the sum of its parts, and should make the already fun-to-drive F-Type even more fun. I can’t wait to try it!